In our day, we have witnessed an increasing assault on prayer. America has largely abandoned the idea of prayer, and we have seen it removed from the public square. For the most part, people today do not cry out to God unless they experience trials and difficulties—treating God more like a divine bellhop than the sovereign Supplier of good. But the real battle is not against flesh and blood (Eph 6:12); Satan will employ his devices to turn the privilege of prayer into an empty ritual. Praying the Word of God to God not only provides God-honoring language, but also transforms our souls in the process. 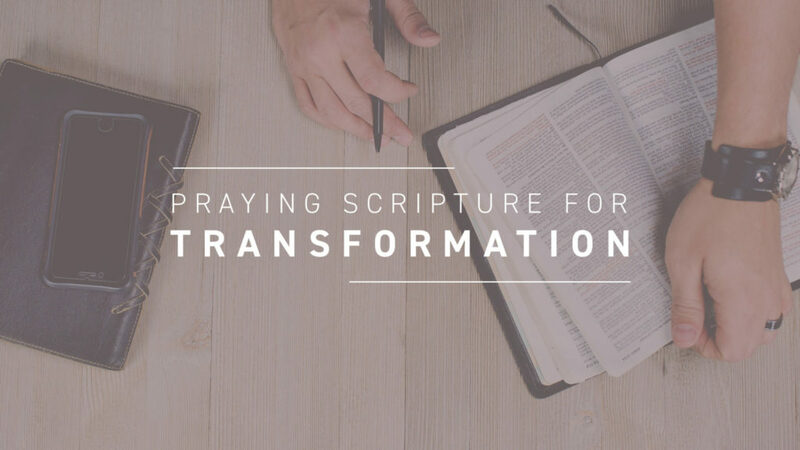 By praying Scripture, we appropriate its truth in our thoughts and affections, which renews our minds and draws us heavenward. Those who experience the severity of suffering—who don’t seem to have the word to offer in prayer—can turn to Holy Writ and let God’s Word become theirs. Or, if you are seeking words to life your affections, you can take a familiar text, say Psalm 23, and begin: “Lord, if you are my Shepherd, how can I be in want? If you are my Shepherd, you will feed me, lead me, and take care of me. Thank you, God, that I can call you my Shepherd.” Filling our prayers with God’s Word transforms our hearts by reflecting back to him the holiness and beauty of his revealed truth.